ON-LINE REGISTRATION FOR THIS EVENT IN NOW CLOSED. LIMITED TICKETS WILL BE AVAILABLE FOR PURCHASE ON-SITE. IF YOU ARE INTERESTED IN ATTENDING, PLEASE EMAIL myoung@sfchamber.com, TO CONFIRM YOUR ATTENDANCE. Bringing together thought leaders from City Hall and San Francisco businesses, the Chamber will host an exclusive networking reception prior to our Business Talks: San Francisco Mayoral Candidate Forum. This is an opportunity for Chamber members to network with the Who’s Who of the City and business community and get the inside scoop on the latest issues facing businesses in San Francisco. The reception will begin at 4 p.m. in the recently renovated Green Room at the War Memorial Veteran’s Building with appetizers and beverages provided by McCalls Catering & Events. San Francisco is at a crossroads, with residents deeply concerned about issues such as homelessness, cost of living, traffic congestion and housing. The next Mayor of San Francisco could set the City’s priorities for the next 10 years. Join us to hear from candidates how they will face the most pressing challenges facing San Francisco employers and employees. At the forum will be mayoral candidates: Angela Alioto, London Breed, Richie Greenberg, Jane Kim and Mark Leno. 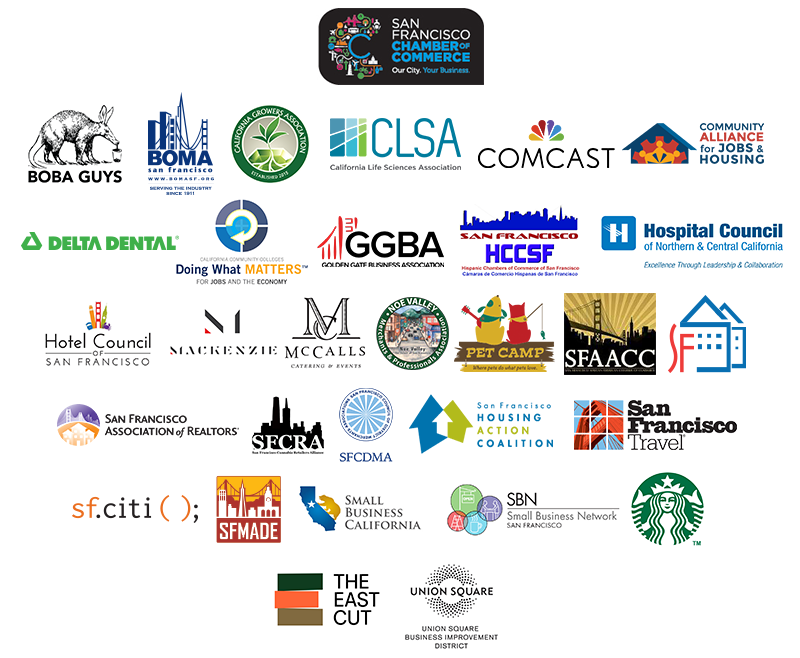 This reception and forum are the culmination of our second-annual Business Comes to City Hall Advocacy Day, which convenes San Francisco business and industry leaders to meet with key elected officials and department heads. The day-long event features discussions on the most pressing challenges facing San Francisco employers, employees, residents, and visitors. The San Francisco Chamber of Commerce is a co-convener of this important day of advocacy on behalf of our members. If you are interested in attending, please reach out to Alex Mitra atamitra@sfchamber.com. Tickets are $50 and provide an opportunity for Chamber members to network with the Who’s Who of the City and business community and get the inside scoop on the latest issues facing businesses in San Francisco.